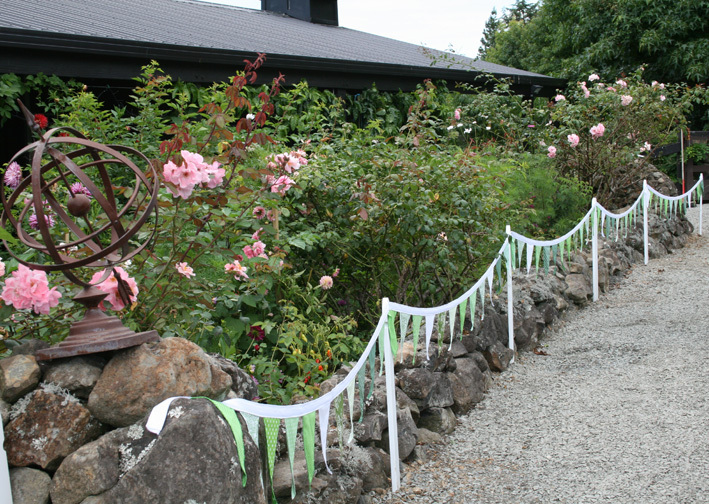 We used the leftover pickets from the chicken coop fence as stakes to hold up the bunting flags around the garden. 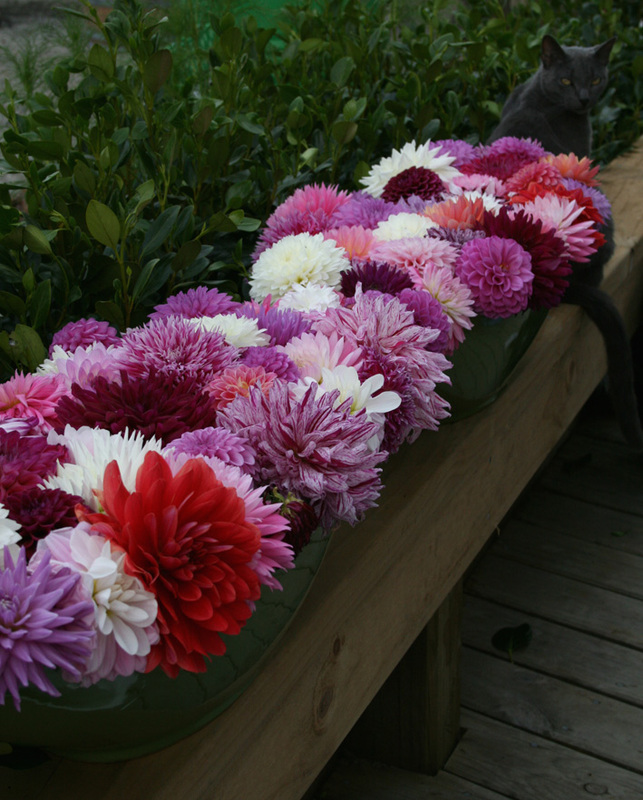 Minnie checking out the oval bowls of dahlias from Dahlia Haven for one of the tables. They were all just gorgeous. 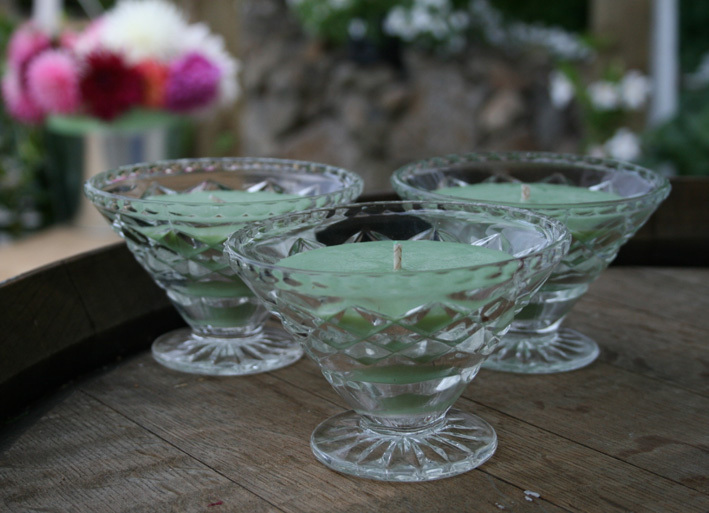 We kept the mozzies at bay at night with these divine green citronella candles in cut crystal sundae dishes. They were such a lovely gift from the girls at Mapua Country Trading Company. congrats glad you had a great day for the wedding and by the look of the photo’s all the hard work paid off. But I want a photo of the BRIDAL party…. 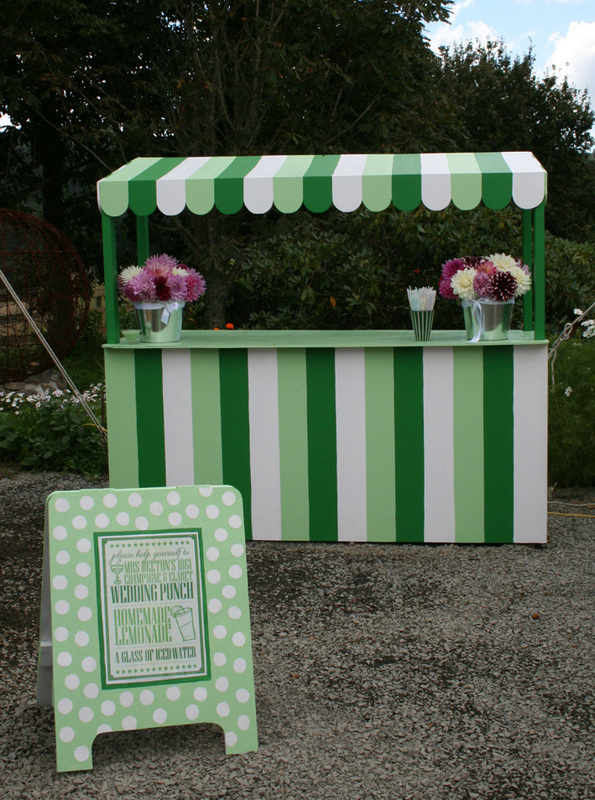 can scarcely believe how much you all have achieved in what seems like seriously short timeframe – it looks so marvellous I have a feeling you won’t be having a tent, I think all that bunting just has to be a mum’s swan song!! All looks fantastic, well done and congratulations to you all. Lynda, Your garden looks amazing,a perfect setting for a perfect day. The photo of you and the Hunk in yesterdays Sunday Times was a bonus, you both looked so happy.Congratulations and thanks for sharing it all. Barbara. making the gardens and all in it look so spectacular. We wish you a wonderful life together, and further down the track, a safe arrival of your wee man. All photos on blog are super.Gay.